Melissa, a shy teenage girl, feels lost in a transnational high society world that drives her to the depths of despair. But her attraction to the very human Kasho, who has snippets of philosophy to impart, eventually enables her to develop her own strengths. But Kasho doesn’t dwell physically on Earth. Camilla Chance is the award-winning best-selling author of Wisdom Man by Banjo Clarke, as told to Camilla Chance — the compassionate life and beliefs of a remarkable Aboriginal Elder. Camilla was educated in London, Switzerland, Italy and Australia. England-born Camilla graduated in Arts from Melbourne University. She has been a lyric writer for an international performing group, the Kuban Cossacks, a high school teacher, an editor, a wife and mother. Seeking to rectify common misunderstandings about Australian Aboriginal culture, she became a book reviewer for two prestigious Australian newspapers — The Age and The Australian. It is 1958 and Melissa is in Florence, Italy at a finishing school. We follow along as she navigates school but also as she remembers her parents and their brutality. Her parents believed they were high class and trying to mold Melissa into the perfect high class girl. The problem is Melissa is too much of a free spirit and individual. Of course this behavior is not acceptable so her parents abuse and terrorize her to follow their direction. They finally have enough and decide to ship her off to a finishing school. There she meets Kasho, a spirit that she has a connection with. 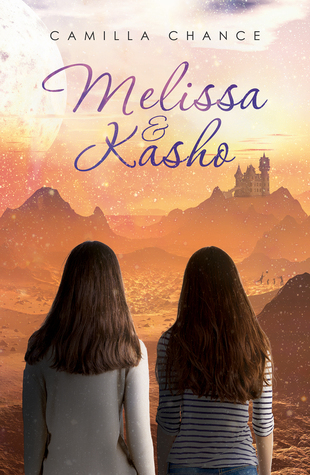 Kasho gives Melissa the love she longs for and helps encourage her to be herself. He also helps her create a friendship with Daisy. But no matter how happy Melissa is, her parents decide to send a suitor to Florence. The plan is for him to seduce Melissa and bring her back to the high society that she has escaped. This is a wonderful story. Melissa has been terrorized by her delusional parents for so many years. As a kid, she had her brother Kim for a short while to help her deal with their mother. But he disappears to school never to return. Melissa is not alone, she does find Kasho, a spirit that has a connection to her. He is a spirit guide that helps her grow into a strong woman. And when things get very tough, he even stands up to shake some sense into her. This story is touching, sad, and inspirational at the same time. Melissa has risen from the destruction of her parents to find herself just to be trapped by them once again. But thankfully she has someone to help her break free to become everything she desires. It’s a wonderful story that is not one I would normal pick but is a great read.